c.1950. 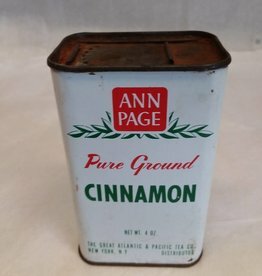 Ann Page Pure Ground Cinnamon tin. Slide top. 4 oz. capacity. 2 1/2" x 1 3/4" x 4"